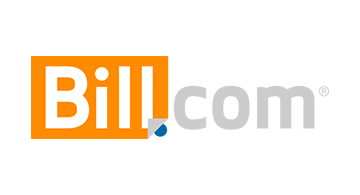 Bill.com is a leading digital business payments company with a network of over 3 million members, managing more than $60 billion in payments annually. Making it simple to connect and do business, the Bill.com cloud-based Payment Management Platform automates, streamlines, and controls the payments process, saving more than 50 percent of the time typically spent. Bill.com partners with five of the largest U.S. financial institutions, more than 70 of the top 100 accounting firms, major accounting software providers including Netsuite, Intacct, QuickBooks and Xero, and is the preferred provider of digital payments solutions for CPA.com, the technology arm of the American Institute of CPAs (AICPA). Bill.com is the winner of more than 70 awards, and recognized as one of San Francisco Business Times’ and Silicon Valley Business Journal’s “2018 Best Places to Work”.